When old-world dangers threaten a race of fruit bat hybrids, where can they run to? New York City, of course! 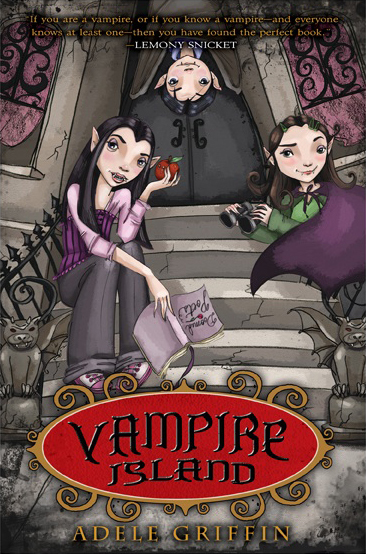 And that's where we meet the Livingstone kids—Lexie, Hudson, and Maddy—trying to blend their "vampireness? with the regular people of the city. Unfortunately, their vampire traits keep complicating things. Lexie's super speed, amazing strength, and poetry-quoting habit embarrass her in front of classmates and her secret crush. Hudson can fly and is determined to save the planet, but with a vocabulary from the wrong century, he doesn't quite fit in. And then there's Maddy, who has a hard time sticking to her vegetarian diet, and an even harder time convincing her siblings that their new neighbors are vampires. With all these challenges, will Lexie, Hudson, and Maddy ever be able to navigate the normal world?